Anda suka membuat accecoiress? Berikut salah satu cara agar ring yang anda buat bentuknya melingkar secara bulat bukan pipih. Selamat mencoba ! I know that this sachet looks familiar. 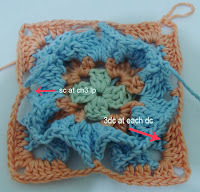 I only make a new method how to make this sachet could work without cut off the yarn and without long chains. 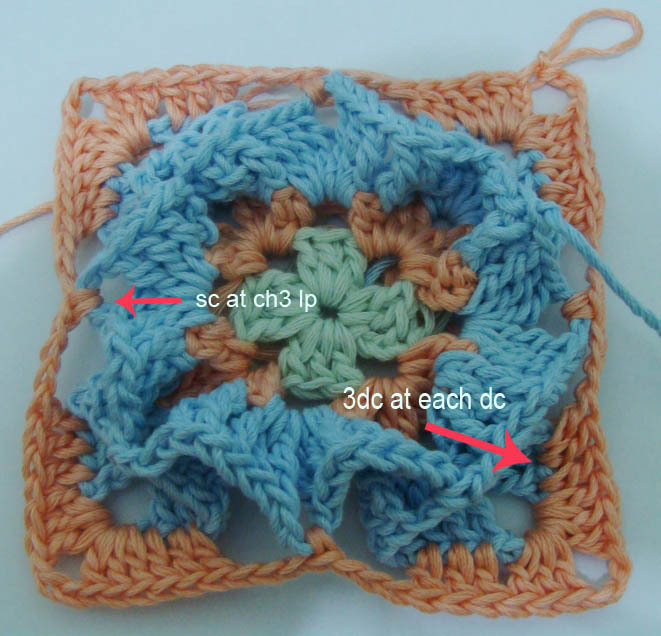 I make it with "double crochet foundation method". You'll see how easy and neatly to make it. Puff st = (yo, insert your hook to the loop, yo, pull your hook through the loop loosely) 3 times, yo, pull your hook through 6 loosely loop in your hook, yo pull again through 2 loop at your hook. 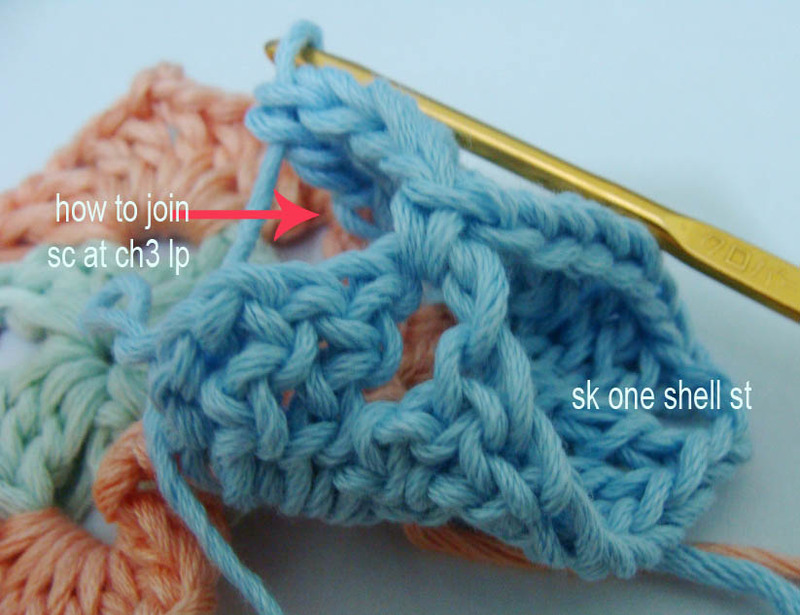 Now you have one puff st.
Picot = ch3, sl st at first ch. R2 : Start from the top of petal. 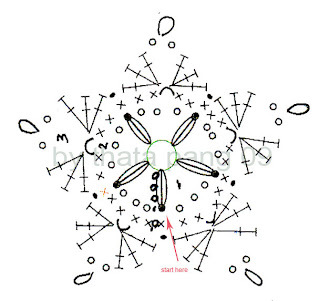 Ch1, sc at the same place, *(2sc,ch2,2sc) at next ch3lp, sc at the top of next petal *, repeat from * to * 4 times, (2sc, ch2,2sc) at last ch3lp, join with sl st at first ch1. R3 :* Sk 2 sts (3dc, ch1, picot, ch1, 3dc) at ch2sp, sk 2sts, sl st at next st* repeat from * to * 5 times. FO. 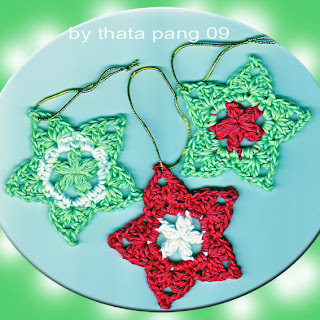 Insert a small golden ribbon in one of picot , cut it off until the lenght what you want to make. Dont forget to binding it. 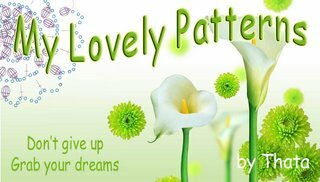 Please do not copy paste this pattern for commercial use. This pattern use for individual project only. The Square will look great after you blocking them. Ch5, joint with sl st to make a ring. R1 : Ch3, 2dc at the ring, (ch3, 3dc at the ring) repeat 3x, ch3. Join with sl st at first ch3. FO. R4 : Start from ch3 lp ( at the middle of shell tr stich ). Ch3, 2 dc at the same place, dc at each dc (3dc), *ch3, sc at next ch3 lp, ch3, sk 9tr, dc at each dc (3dc), shell st, dc at each dc (3dc)* repeat from * to * 3 times, ch3, sc at next ch3 lp, ch3, sk 9 tr, dc at each dc (3dc), 3 dc at first ch3lp, ch3. Join with sl st at first ch3. 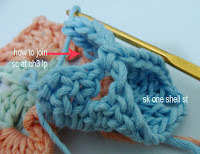 R16 : Knit 9, BO 7 sts, K7, B0 7 sts ( last BO is the first st from k9) Knit 9. R 17-19 : K9. Turn. BO. R17 : From First BO at the other side you start to make CO 12 sts (for strap). Turn. R18 : K21 ( From CO 12 sts till K9 at right side). R21 : K 21. BO. 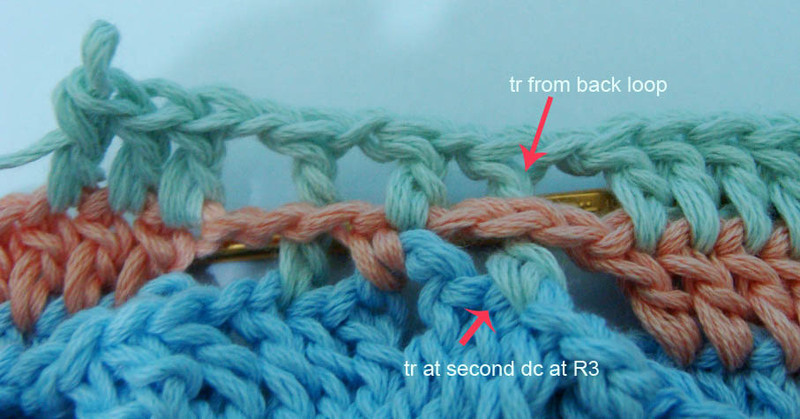 If you start the right booties with Part 3 as a horizontal strap ( long ), so you have to make the left booties with Part 3 as Part I ( vice versa Part 1 and 3) for a horizontal strap. With seam stich joining together the foot step ( middle ) and back step. BO. Put the vertical strap around the horizontal strap. Sew at WS. Sew a button at each side of your booties. 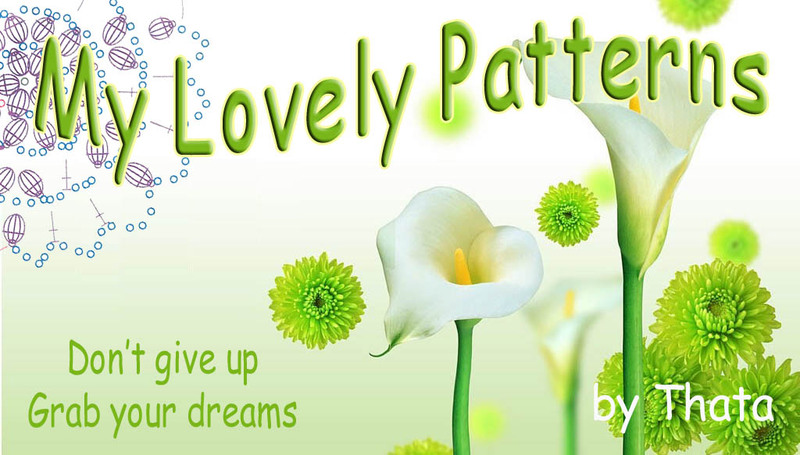 Note : Special thanks to mba Hernik, mba Maya and mba Yanti who volunteer to test this pattern. Part III, then work Part I. Fasten off. Simple and easy... isn't it? Hello, I'm a working woman,41 years old, married and have one son. I live in Indonesia. 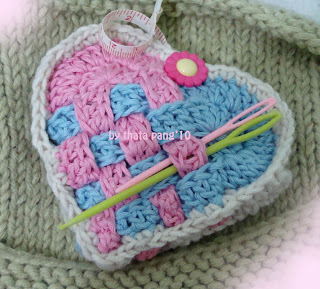 I like crocheting since 14 years old until now (but up and down). Also love knitting, felting and another needle works..
3 Dimentional Flower Square 12"
Today, there have been 10 visitors (47 hits) on this page!